The first time we ever set foot on the island of Antigua was on a six-hour layover at the airport enroute from St. Kitt’s to Toronto. That was a few years ago when the airport was little more than a Quonset hut with a small duty-free shop and the inevitable bar where the hordes congregated awaiting their flights. Oh, and we suppose it’s worth mentioning that the airport at the time was sans air-conditioning! We had been in St. Kitt’s for Art’s medical school reunion and were in a bit of a group traveling back to Canada. One of the groups had been on an earlier inter-island flight so by the time we arrived in Antigua someone had already booked a van and driver and planned an island tour. So we spent our time soaking in the beauty of the island vowing to return for a longer holiday – which we did a year later. 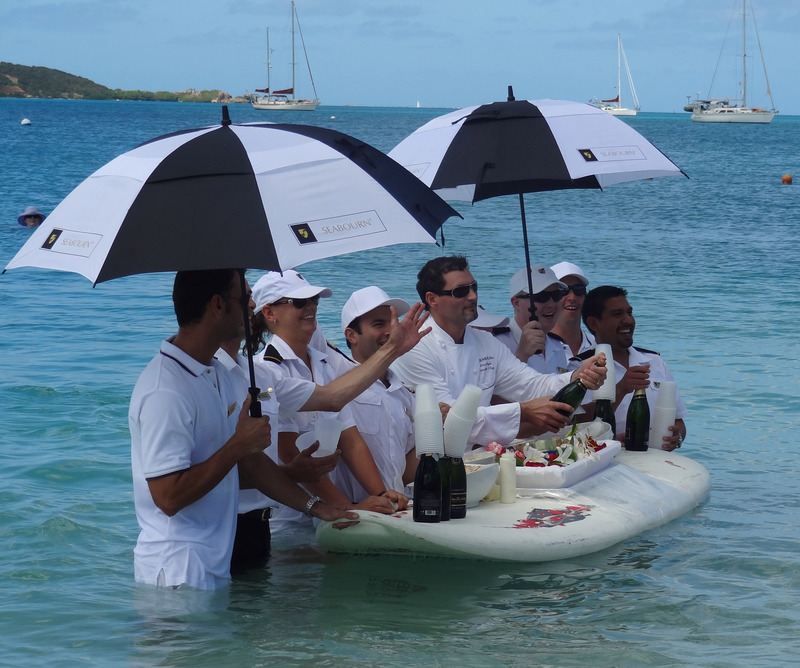 We fell in love with Antigua and Barbuda, its beauty and its people, so whenever we take a Caribbean cruise that lands in St. John’s, Antigua’ s capital, we always look forward to our day. St. James’s Club in Antigua where we spent a wonderful holiday a few years ago. Just a stone’s throw from where the ships usually dock are the small streets of the town offering an array of the usual duty-free shopping as well as some shops unique to the island. 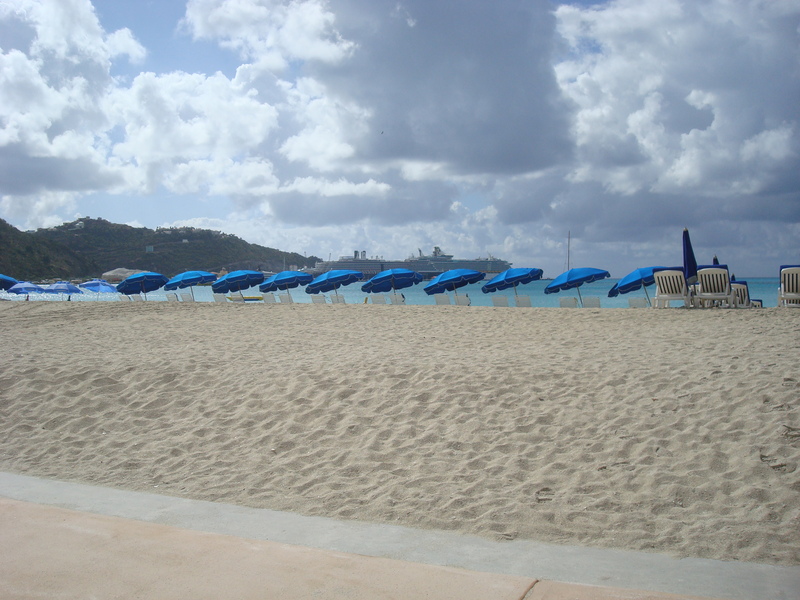 If you need a new bathing suit, you’d do well to wait until you get to Antigua so that you can avail yourself of the dizzying array on offer at Sunseekers. Then, on your hunt for a unique piece of jewelry and/or art, eschew all those shops you see as you disembark and head to Goldsmitty on Redcliffe Quay. Uniquely original, Goldsmitty’s pieces are the creation of artist and jewelry designer Hans Smit. Patty has acquired a pendant and earrings on trips to St. John’s. Too many cruise ship in port that day! This most recent visit to St. John’s though was a bit disappointing. The town was overrun with cruise ship passengers that day. The main docking area in the town was jammed with ships so that our own didn’t even dock there. The alternative port is in an industrial container port area a ten-to-fifteen-minute drive from the town through an area that you would not choose to walk – and we’ll walk practically anywhere. The opal and gold pendant Patty acquired at Goldsmitty. 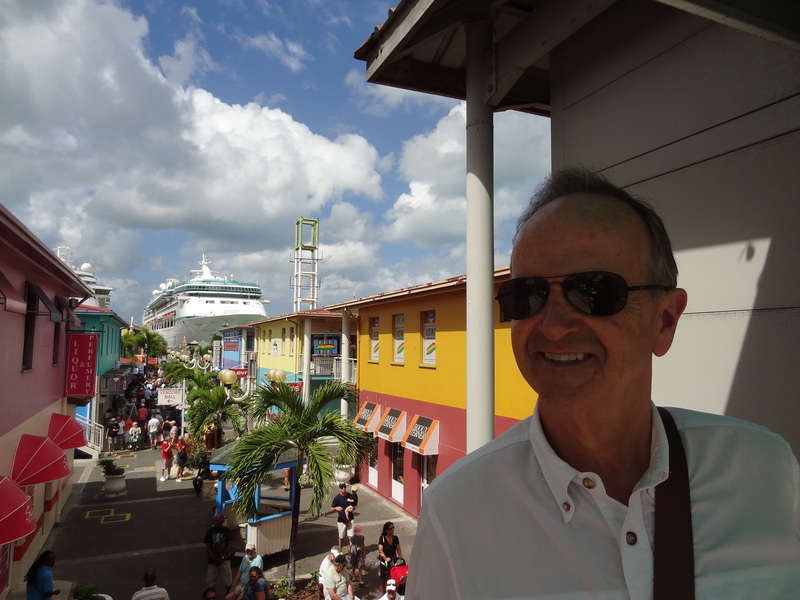 We took the shuttle into town, walked around for an hour and then headed back to the ship to enjoy the Antigua sunshine from the vantage point of the deck. The town seemed a bit shabbier than on previous visits and we have to wonder if the recent recession has had a negative impact. St. John’s is still worth a port visit and Antigua and its people are still beautiful! Colorful Old San Juan (Puerto Rico) is a wonderful place to spend the day strolling & taking photos. And so we’re back at it. The dog days of summer are waning and the thoughts of discerning travelers of the Canadian sort turn to winter – winter vacation planning of course! As we begin to consider the options, we’ve been thinking back to our many cruises and island vacations in the Caribbean; we thought that we’d share our choices for the best cruise ports for travelers to venture on foot on their own. When you’re on a cruise for the first time, there is something to be said for booking a few shore excursions – but inevitably, after a while, you just want to stroll off the ship (or the tender in some smaller ports) and wander on your own without benefit of the constant drone of the tour guide’s voice, or the chatter of other cruisers. To give you a bit of context for why we think we have an opinion that you might find credible, you need to know that we’ve actually visited some 28 Caribbean cruise ports. So, our list of the five best ones for strolling about independently is based on considerable experience! So let’s get started! The first time we visited Grand Cayman, there were five large cruise ships moored off the port with thousands of passengers being tendered to Georgetown all day long! 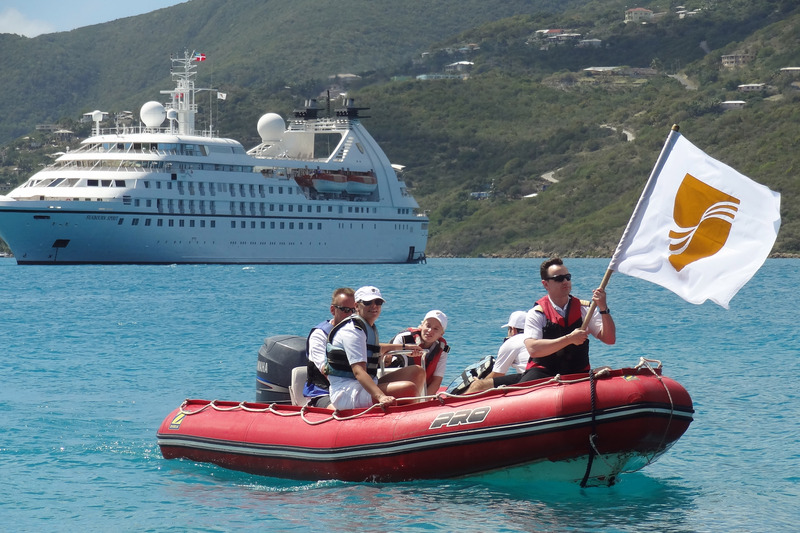 Despite these large numbers, most of the cruisers were actually on shore excursions, so although there were crowds in Georgetown, they weren’t unbearable. Although not a great port culturally in our view, the reason Georgetown figures on this list at all is because of the shopping. On most cruises we take, we plan to shop only once. We don’t pick up souvenirs (we’ve told you about that before), but we do like a bit of interesting shopping. Georgetown offers a wide array of duty-free goods and if you’re in the market for something like a watch, high-end perfume, cosmetics (like Chanel), a piece of good jewelry, or even a camera this is the place to find variety, and the shops are well-laid out. The last time we planned our shopping for Georgetown, the last cruise port on our Regent cruise, the ship had engine trouble in Cozumel and stayed there an extra day (where we ate copious amounts of Mexican food!). The Grand Cayman stop was cancelled. Oh well, we saved a lot of money on that trip! We love San Juan; although we didn’t the first time we visited it on a cruise ship. That time we took a tour and didn’t really get to see San Juan. A later visit when we stayed there for a few days prior to our cruise actually leaving from San Juan endeared it to us in so many ways. But this one is on the list of places to stroll to only if your ship docks in Old San Juan. There are two cruise ship ports in San Juan: the other one is called the Pan American cruise terminal and you’ll need a taxi to get anywhere, including Old San Juan. But it’s worth doing on your own. 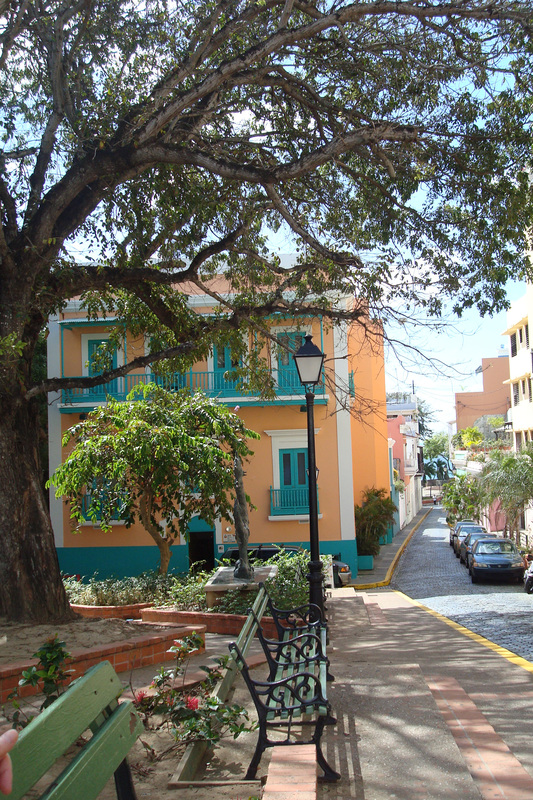 Old San Juan is a wonderful labyrinth of cobble-stoned streets with a wide variety of shops, pubs and restaurants. You can easily while away several hours walking around, visiting the fortress and museum, doing a bit of shopping and then grabbing a bite of Puerto Rican food for lunch. 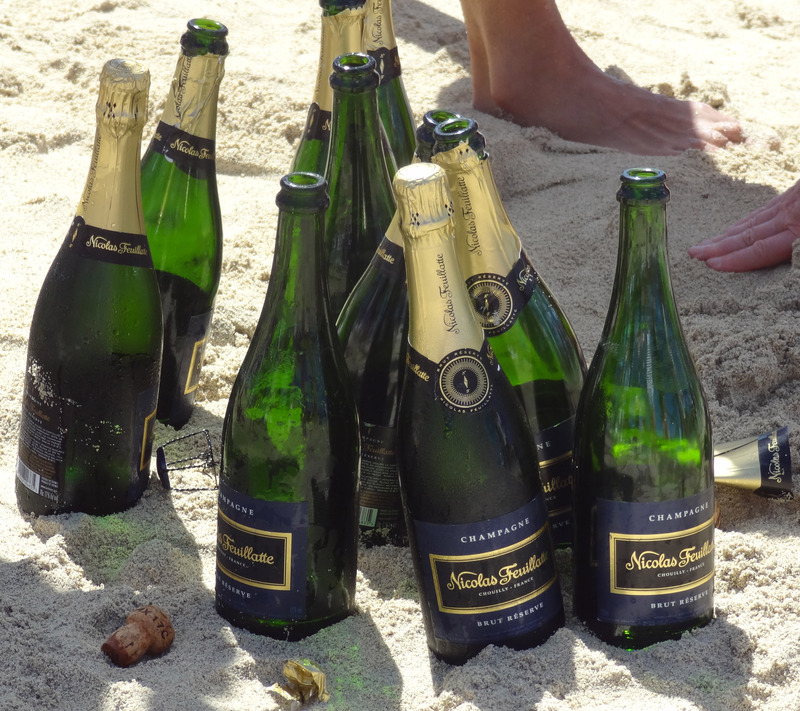 Be sure to sample the local Medalla beer. By the way, if your cruise leaves from San Juan, this is even better! You can then stay in PR for a few days and enjoy the rest of this beautiful island. What a lovely little town this is! 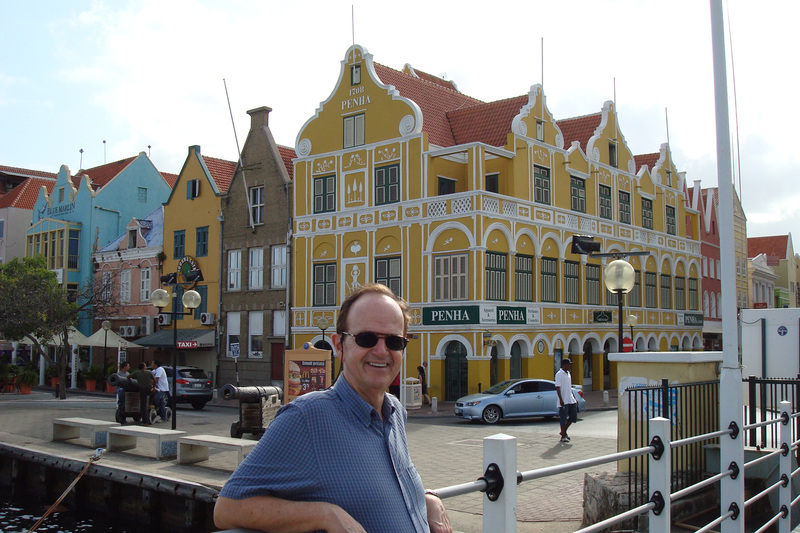 A UNESCO World Heritage Site (as is Old San Juan, by the way), Willemstad has wonderful architecture, and offers you a variety of sights, shops and restaurants. It’s really worth strolling around and you could easily spend the morning, have a bite of lunch, and then stroll back to the ship. The two districts that make up Williamstad, Punda and Otrobanda, are connected by two bridges: one is a pontoon bridge you can walk across – unless it has been removed temporarily to let a boat pass. Watching the bridge come back together as you sit in a waterfront café sipping an early morning beer is a terrific way to enjoy your port visit! Maybe it was because Art is from St. John’s, Newfoundland that this little city resonated with us so quickly, but for whatever reason, it’s a terrific place to stroll around. 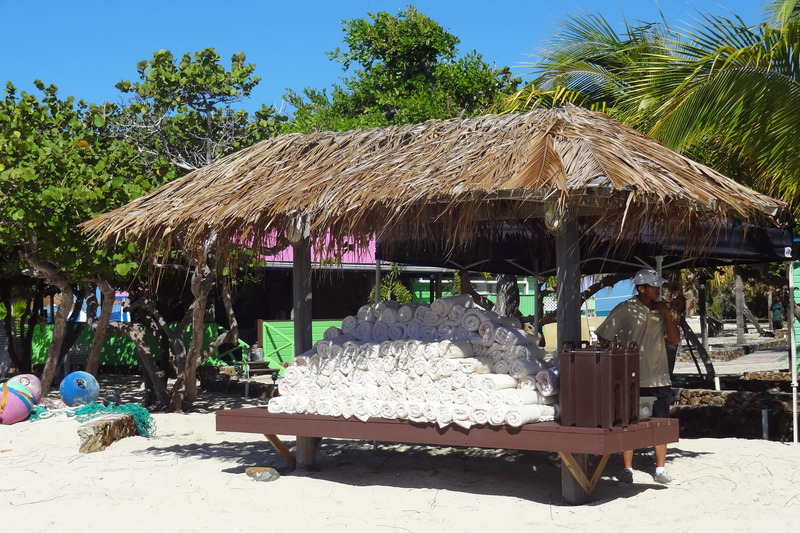 We’ve visited this from a cruise ship as a port visit, but we have also spent a vacation on the island of Antigua (which we highly recommend) and had an opportunity to get to know this town. Whenever we visit St. John’s we go immediately to The Goldsmitty on Redcliff Quay, a jewelry store that stocks only the unique creations of jewelry artist Hans Smit. Patty owns several of his creations and we’ll return on our next visit as well. The second store not to be missed is Sunseekers on Heritage Quay. They claim to have the largest selection of swim wear in the Caribbean, and we believe it! More than that, the service is wonderful. The sales staff will search out bathing suits to suit every body. If you need a new swim suit, wait until you reach Antigua to buy it! You can’t get lost making your way from the ship into Phillipsburg. Patty points the way. We love Phillipsburg. Stroll off the ship and along the cruise ship terminal. Don’t bother with a taxi: it’s a nice ten-minute walk into town. Follow the signs to the boardwalk and when you emerge into downtown, you’ll be on a beach! The town has done a terrific job of developing this board walk along which you’ll find an array of shops and fun restaurants. Take a walk to the very end; if you’re beach people, you can rent a chair and umbrella with a bucket of beer and watch the waves. If you’re shopper, walk to the end of the board walk and then take one of the alley-ways (well-marked) to the next street and walk along it all the way back to the end where you started. This is where the duty-free shops are located. table with a view, wonderful professional service and a meal to remember. Ah, it’s so wonderful to think back on all the great experiences we’ve had. We haven’t decided on a destination for that winter vacation yet – we’re already booked on a European river cruise for April, but we’re exploring. Where are you going to escape the winter weather for a few weeks?